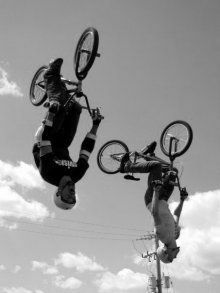 BMX is one of the oldest recognised street sports entertainment around. 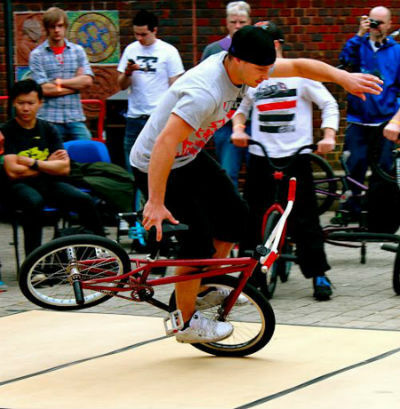 BMX United’s high experienced entertainers include BMX flatlanders, street riders and ramp jumpers that will amaze audiences with their mind blowing tricks and spins. These international entertainers really know how to put on a great show. They are part of a fantastic entertainment agency that work hard to impress their audiences. Standard Length of Performance: The guys can perform for sets of 10 mins with a 10-15 min rest in between each performance set. BMX Flatlanders: They can perform a solo or a synchronized show with 2-3 riders displaying bike spins, no hand balances & 1 wheel tricks all in a small space of minimum 5m x 5m. 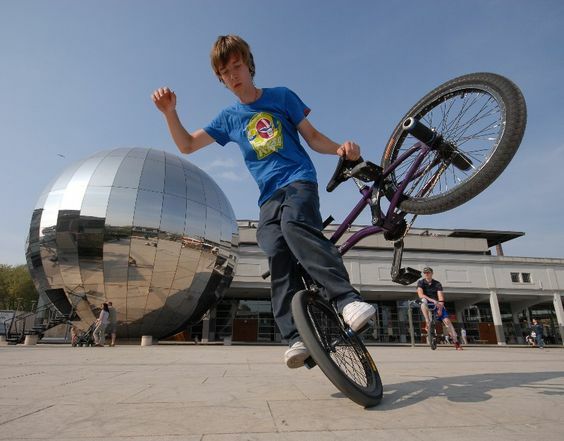 BMX Street Riders: Perform tricks, jumps and combination slides on railings using only the surroundings of street furniture or a dedicated skate park or BMX course. BMX Ramp Jumpers: (Usually 3-5 jumpers) Using a specifically built launch ramp BMX riders use this to achieve heights of 10+ in the air where they perform a variety of jumps, no hand mid-air tricks and somersaults. Space required: BMX need an absolute minimum space of 4m x 4m, grass, wet surfaces, or carpeted surfaces can NOT be performed on. Workshops can be provided at events on request so members of the public or event attendees can try out the street sport. 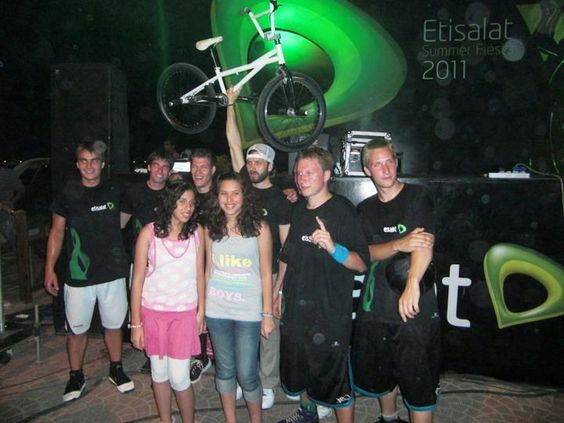 BMX United’s performers can also attempt a world record at your event if requested. An official adjudicator can also be arranged for the event on request.